We have been featured in a few local newspapers. Take a look at what they have to say about us. Today is Cinco de Mayo — and it's time for a fiesta. There will be plates of enchiladas, yellow rice and refried beans, and salt-rimmed glasses filled with margaritas — but the celebration is not complete without a mariachi band. "For us, it's very important to have something typical, and mariachi represents Mexico," said Ramon Ruiz, who plays guitar in the band Mi Mexico Lindo. 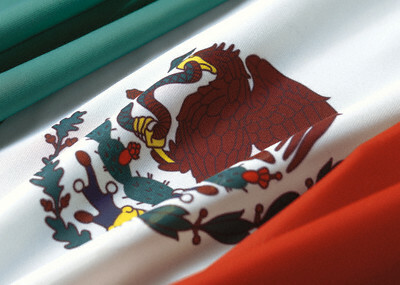 Cinco de Mayo celebrates Mexico's victory over France in the Battle of Puebla in 1862. Mi Mexico Lindo, led by Jose Luis Sicairo, is one of several mariachi bands that play at local restaurants and private functions throughout the year. The band performs at Mi Mexico Lindo in Methuen twice a month. It is coincidental that the band and restaurant have the same name. "It's very popular," said manager Fernando Villalba. "A lot of college students go to Mexico for spring break and become familiar with the music there, so they enjoy it when they come back." Another reason for the popularity of Cinco de Mayo is the growing number of Mexicans living locally. While Dominicans and Puerto Ricans make up most of the Hispanic population in Lawrence and Haverhill, the number of Mexicans living locally has increased in the past 10 years. Of the 43,019 Hispanics in Lawrence, 316 are of Mexican descent. Bands performing Mexican music typically use instruments like the vihuela or five-string guitar, maracas, trumpet, bass and guitar. On Sunday, Mi Mexico Lindo was at Acapulco's Restaurant in Beverly, stopping at tables and taking requests from diners and playing popular melodies. They even played the chicken dance with a mariachi beat for children. "Our goal is to keep the traditional sounds of Mexico alive," said Sicairo who leads the five-member band. They dress in black bolero jackets with chaps emblazoned with a horse head, the profile of a mariachi with a big sombrero and a Mexican sundial. The same designs line both sides of their trousers. Under the jacket is a white shirt accented with a gold-colored ascot. Patrick Robbins of Andover has been playing the guitar with Mi Mexico Lindo since 2005. "I like all the rhythms, the passion and the fact that you play with natural instruments," he said. Robbins first heard mariachi music while eating at a Mexican restaurant in San Diego. He was so enthralled with the music that he asked one of the players where he could get the kind of guitar used by the band. Robbins traveled to Tijuana, where he purchased mariachi books and tapes. For those who cannot go to Mexico, people like Veronica Robles teach about the origins, evolution and popularity of mariachi music. She leads music workshops in Boston area schools. Participants in the workshops range from kindergarten to college age. Robles said mariachi music started in Jalisco, Mexico, but it spread to other parts of the country, where it was refined to include instruments like the harp and the marimba. "It has taken on more importance over the years because the vihuela, along with the guitar and the violin, have a perfect harmony without an amplifier," she said. "Mexicans appreciate the sounds of a violin more, trumpets are a complementary instrument, but not necessary for the mariachi." Pepe Gutierrez who has been a mariachi performer for 45 years, said the music is more popular than ever. There are festivals in the United States that attract bands from across the world, including places like India, Africa, Japan, Italy and England. There also are many schools in Arizona, Texas and California that teach the musical style. "Mariachi music is popular because it touches people's souls and helps them express their sentiments," said Gutierrez, who has had a band for 30 years. He said he is proud to keep mariachi music alive. "As a Mexican, it's in my blood,'' he said. "It's a gift God gave me and through it I'm proud to represent my culture and let others know about it." Gutierrez said it's also important for him to have children of Mexican descent learn about mariachi music. Juan Ortega of Haverhill has lived in the United States for 36 years but has never stopped listening to mariachi music. He has dozens of compact discs with mariachi music, and also downloads the music on his iPod. "It stirs different feelings in you — love, disappointments, happy moments," said Ortega, a real estate agent. "When you think of Mexico,'' he said, "you think of mariachi because it has always been, and will always be, part of Mexico."